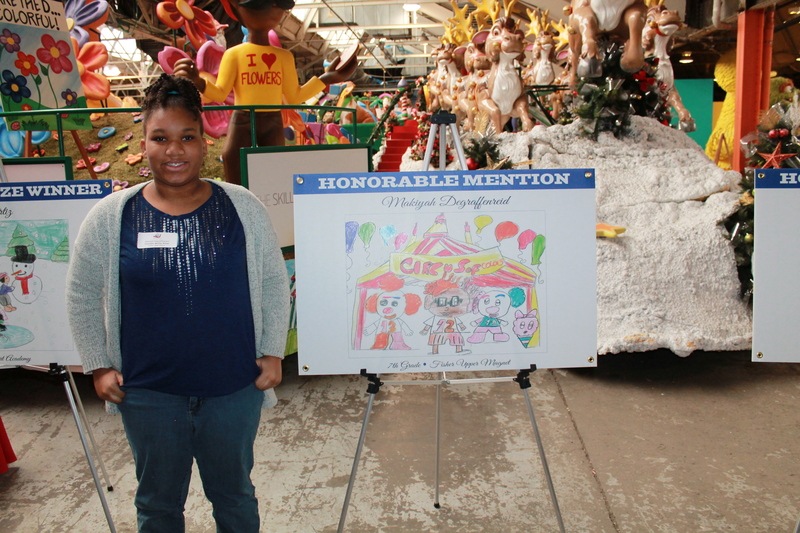 DETROIT – (November 15, 2017) – The Parade Company and Skillman Foundation today announced the winner of the 26 th Annual Skillman Foundation’s Float Design Contest for America’s Thanksgiving Parade® presented by Art Van. 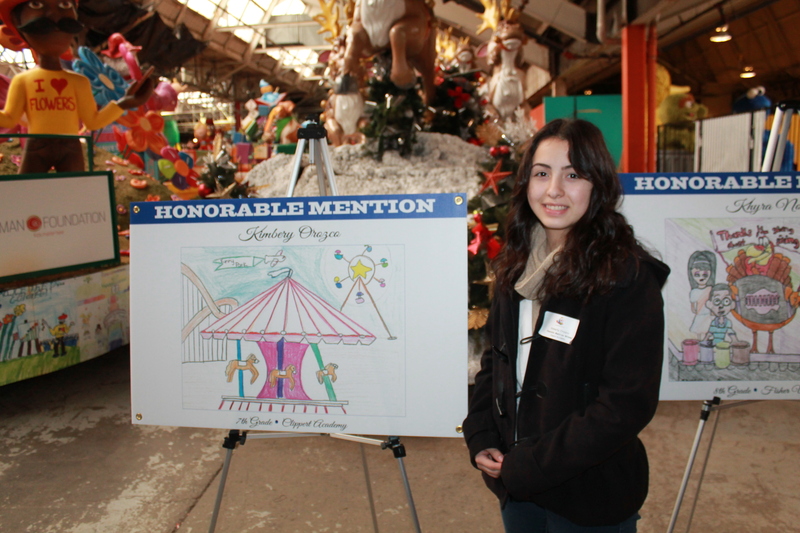 Seventh grade student, Yuliana Ortiz, from Clippert Academy, was joined by her family, teachers and school administrators today as she saw her winning design, “The Snowing Mountains,” transform into a larger-than-life float. 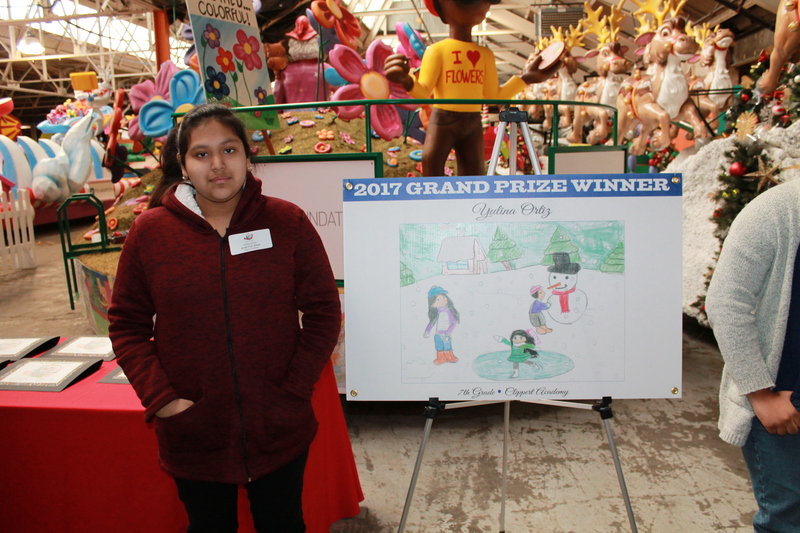 The float, which features a snow-covered house on a hill, kids ice skating, snowmen and trees, will be led by Ortiz and her family during America’s Thanksgiving Parade® presented by Art Van. 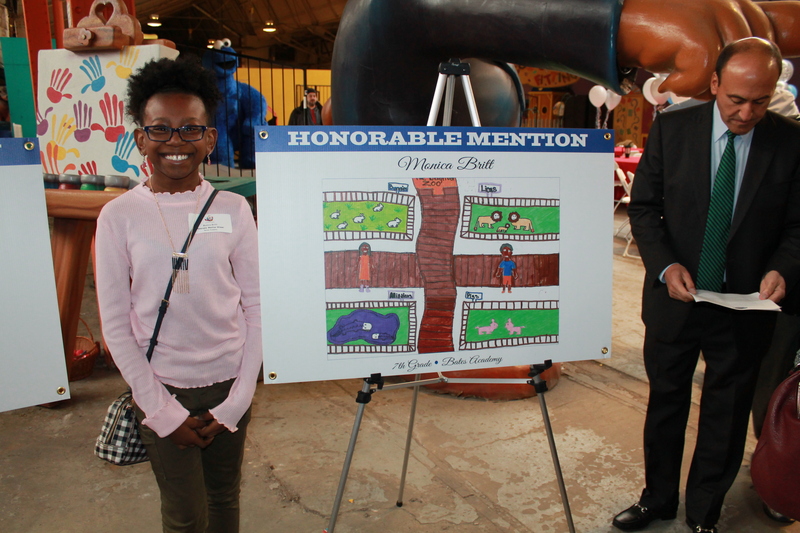 The float also includes an 80-foot wrap which incorporates the 2017 Honorable Mention winning designs along with other entry favorites. 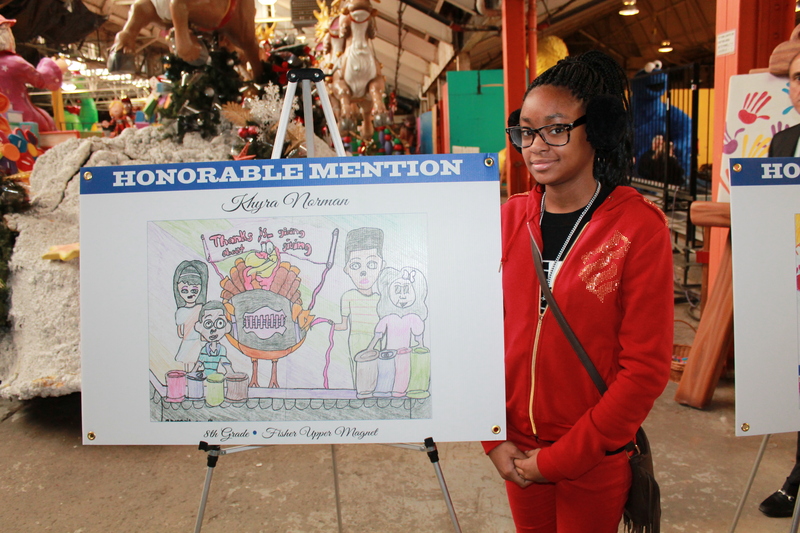 The theme of the 91 st America’s Thanksgiving Parade® presented by Art Van is “Woodward!! Avenue of Dreams!” The theme celebrates the beauty of Detroit’s Woodward Avenue as well as the completion of the QLine Detroit. Woodward Avenue is the backdrop of this annual iconic parade, which will be broadcast locally on WDIV-TV Local 4 and in more than 190 cities across the country. The Parade Company will make a series of announcements for the 91st year including new float builds and celebrities. Recognized as one of the best Thanksgiving parades in the country by U.S. News & World Report Travel, America’s Thanksgiving Parade® presented by Art Van will be held on Thursday, November 23. The Parade will be featured on WDIV-TV Local 4, including a one-hour national broadcast reaching more than 190 major cities across the country. News/Talk 760 WJR’s Paul W. Smith will host a live pre-parade show from 6 a.m.- 9:30 a.m. CBS Radio will provide live parade coverage hosted by 104.3 WOMC’s Bobby Mitchell and Stacey DuFord (Mornings WOMC) from 10 a.m. – noon. For more information, visit theparade.org.